Mr. Manish Deka from Assam, who is part of the 1st North East India Mt. Everest Expedition made his successful summit to the Mt. Everest on 24th May 2012 at 5.45AM (IST). The total number of successful summiter from the expedition as of now stands at 11. After Tarun Saikia, Manish Deka is the second climber from Assam to summit the Mt. Everest successfully. 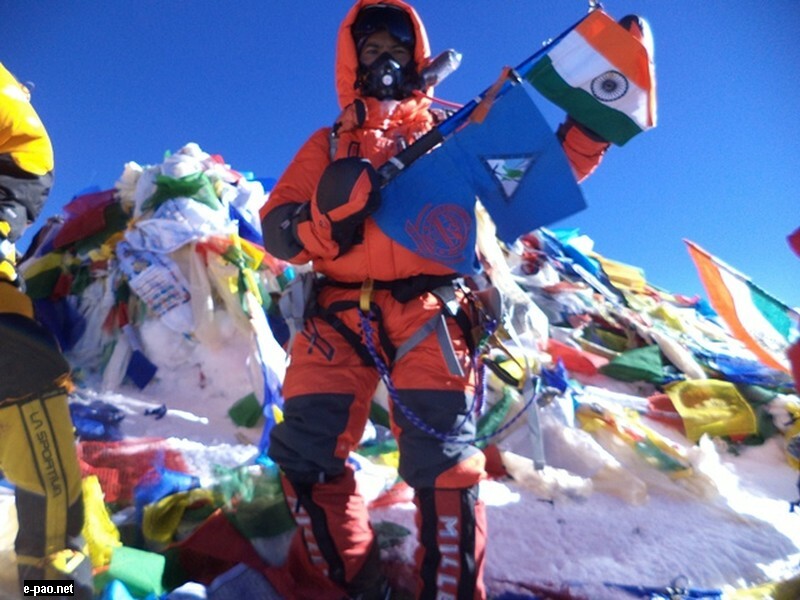 Mr. Puyam Mohon from Manipur made his summit of Mt. Everest on 19th May 2013 at 8.15AM (IST). The expedition is being sponsored by North Eastern Council, Shillong and is being supported by Planning Department, Govt. of Manipur and being implemented by Manipur Mountaineering and Trekking Association, Manipur. Shri O. Ibobi Singh, Hon’ble Chief Minister, Manipur is the Chief Patron and Shri DS Poonia, Chief Secretary, Manipur is the Chef de-Mission. This is the first time that 11 mountaineers from North East India have made their successful summit of Mt. Everest on a single expedition. The expedition was flagged off by President of India on 20th March 2013. Ms. N. Bidyapati from Manipur and Ms. Wansuk Myrthong from Meghalay became the first women Everest summiter from their respective state. Mr. N. Chingkheinganba from Manipur became the youngest Indian to scale the Mt. 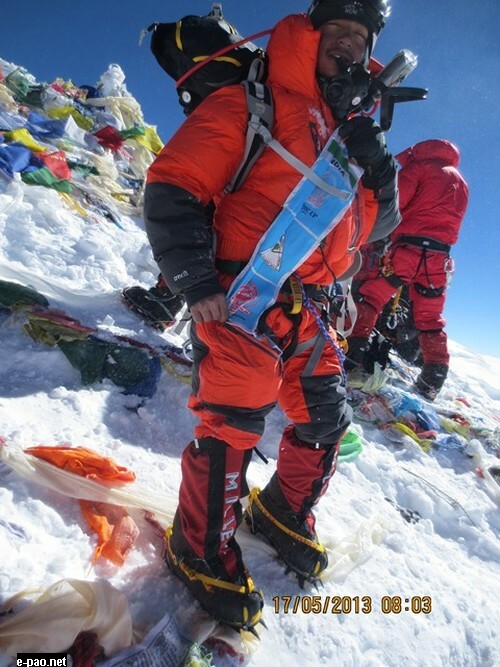 Everest; Ms. Anshu Jamsenpa created a history by being the only mother of 2 who scaled the Mt. Everest for the third time. Mr. David and Mr. Tarun Saikia became the first Everest summiter from Mizoram and Assam. The Govt. of Assam had earlier announced a cash award of Rs. 20 Lakhs for Mr. Tarun Saikia and Govt. of Manipur had announced a cash incentive of Rs. 10 Lakhs each for summiters from Manipur and 1 lakhs for the Manipuri mountaineers who attempted. Further Govt. of Meghalaya had announced promotion of Ms. Wansuk in Meghalaya Police. With today’s summit the 1st North East India Mt. Everest Expedition has come to an end. The team will be departing for Lukla and further to Kathmandu. They will be arriving at Delhi on 30th May 2013 led by their team leader Dr. L. Surjit, Leader of the expedition.